For thirty years in India at the cusp of the eighteenth and nineteenth centuries, Henry Thomas Colebrooke was an administrator and scholar with the East India Company. 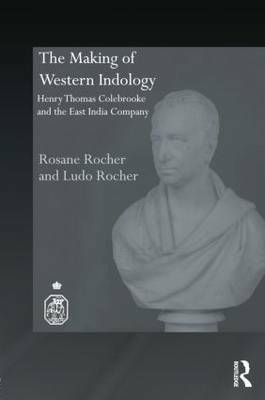 The Making of Western Indology explains and evaluates Colebrooke's role as the founder of modern Indology. The book discusses how Colebrooke embodies the significant passage from the speculative yearnings attendant on eighteenth-century colonial expansion, to the professional, transnational ethos of nineteenth-century intellectual life and scholarly enquiry. It covers his career with the East India Company, from a young writer to member of the supreme council and theorist of the Bengal government. Highlighting how his unprecedented familiarity with a broad range of literature established him as the leading scholar of Sanskrit and president of the Asiatic Society in Calcutta, it shows how Colebrooke went on to found the Royal Asiatic Society of Great Britain and Ireland, and set standards for western Indology. Written by renowned academics in the field of Indology, and drawing on new sources, this biography is a useful contribution to the reassessment of Oriental studies that is currently taking place. "Quoting extensively from every available source, including family papers, and weaving a dense network of information, while remaining readable and jargon free, this relatively concise but extremely thorough study captures in judicious detail the way in which knowledge for its own sake grew out of knowledge required to rule Bengal... Obviously,this brief review cannot do justice to such a polymath. Perhaps it is most appropriate to conclude with the opinion of Wilhelm von Humboldt, cited by the Rochers, that while Colebrooke lacked "the soaring mind and spirit of Jones", he surpassed Jones in his "sober insight and judgement." - Andrew Robinson; Journal of the Royal Asiatic Society (2012).